Buy Microsoft Excel 2016 with the cheapest price on the US market. The Microsoft Excel is a Standard application for every office pack. Now with Digitalproductkey you can purchase the Microsoft Excel 2016 as a stand-alone application and enjoy all the features that will help you alleviate your work. 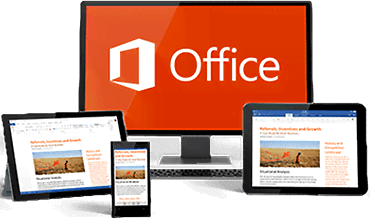 Excel is an essential component of the office suite that is present in every Microsoft office release. With Digital product key you can purchase your copy and enjoy the ultimate improvements with the best price ever! This feature allows users to search online while working on spreadsheet. To activate this option you right-click on a cell with a word or a group of words, you can also search for definitions on Google search using a Bing online search. The Microsoft Excel 2016 introduces new variety of charts which help visualize and present data. The excel 2016 has up to 6 new charts among which: histogram, waterfall and hierarchical treemap. With Excel 2016, collaboration in the work place is more efficient. You can simultaneously work together on documents from anywhere as long as they are connected. Also other employees can see the editing process taking place.